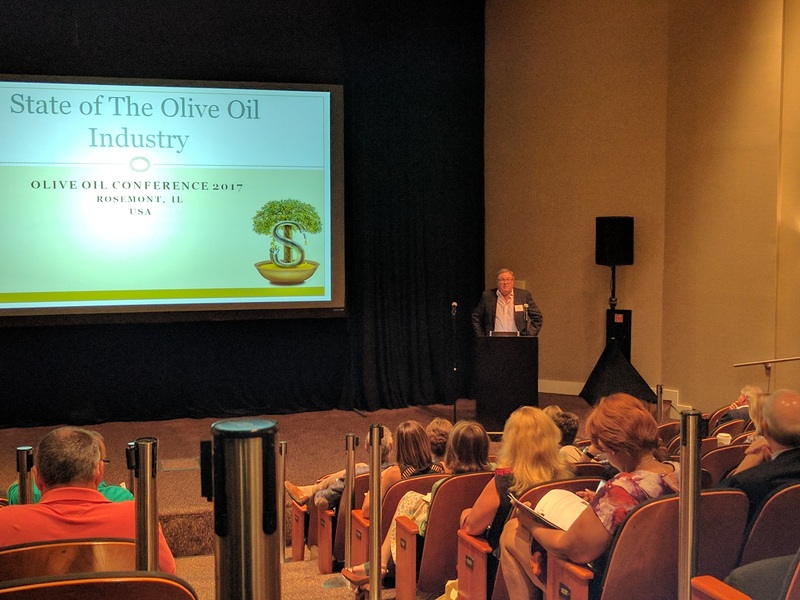 The first day of the Olive Oil Conference was filled with olive oil tastings, the latest in the industry and a unique cooking demonstration. We started the day with an olive oil tasting session with Hayley Stevens. 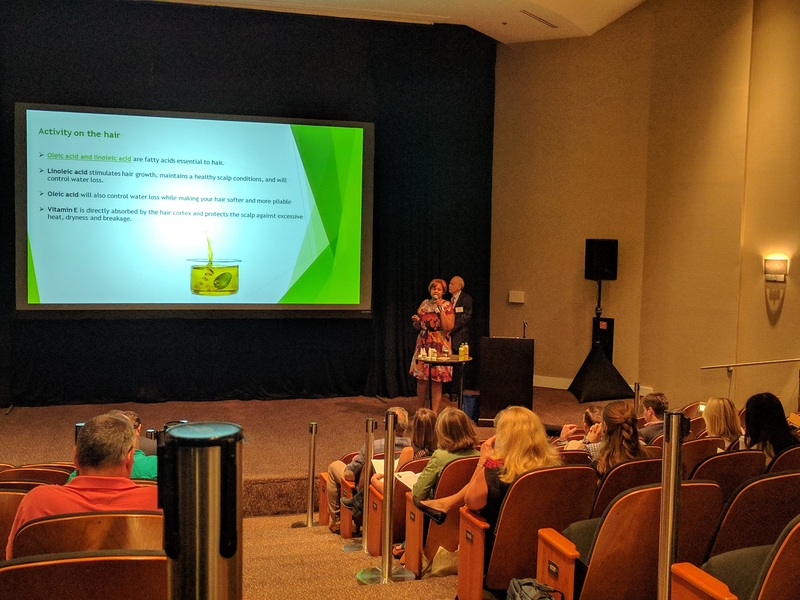 Hayley guided us through a tasting of 4 oils and walked the conference attendees through the Savantes method of tasting. Next, Bob Bauer and Simon Field brought us up to date on the latest in olive oil health benefits and industry trends. We were especially inspired by Simon's call for greater cooperation in the olive oil industry to fight downward trends in olive oil consumption and to alleviate consumer confusion. 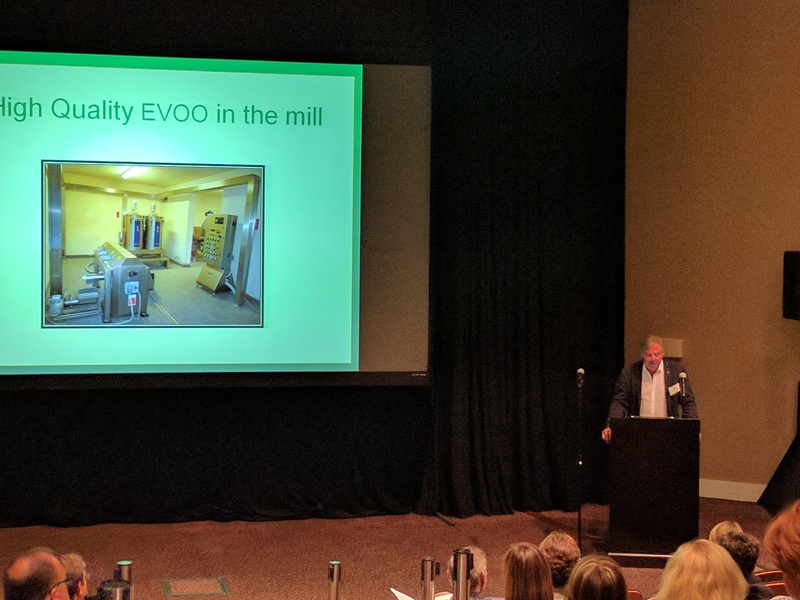 Marco Scanu shared an in-depth presentation on his olive oil milling process. Marco generously shared some of his secrets with the audience on creating the highest possible quality olive oil. Richard Small and Nikisha Horn co-presented on olive oil usage in cosmetics and hair products. Their talk was full of in-depth chemistry and also marketing trends on olive oil in cosmetics. 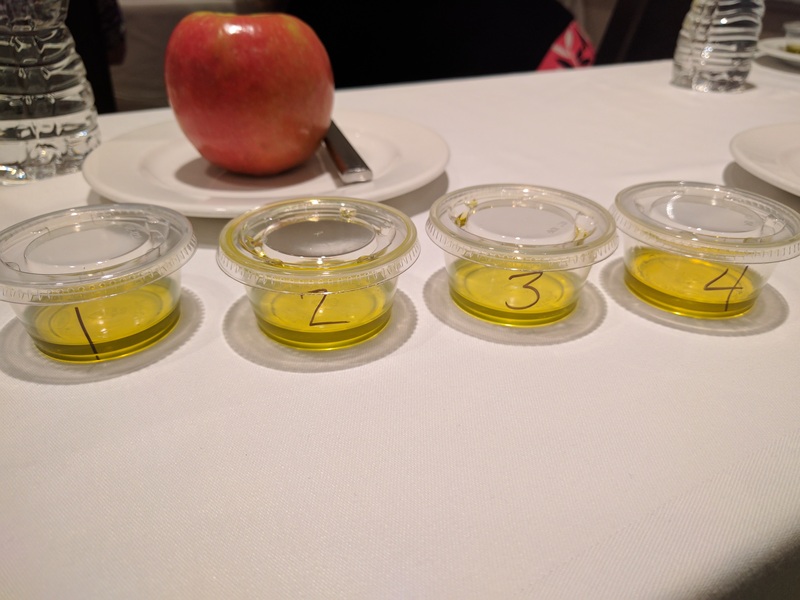 As always, meals at the olive oil conference are olive oil centric. 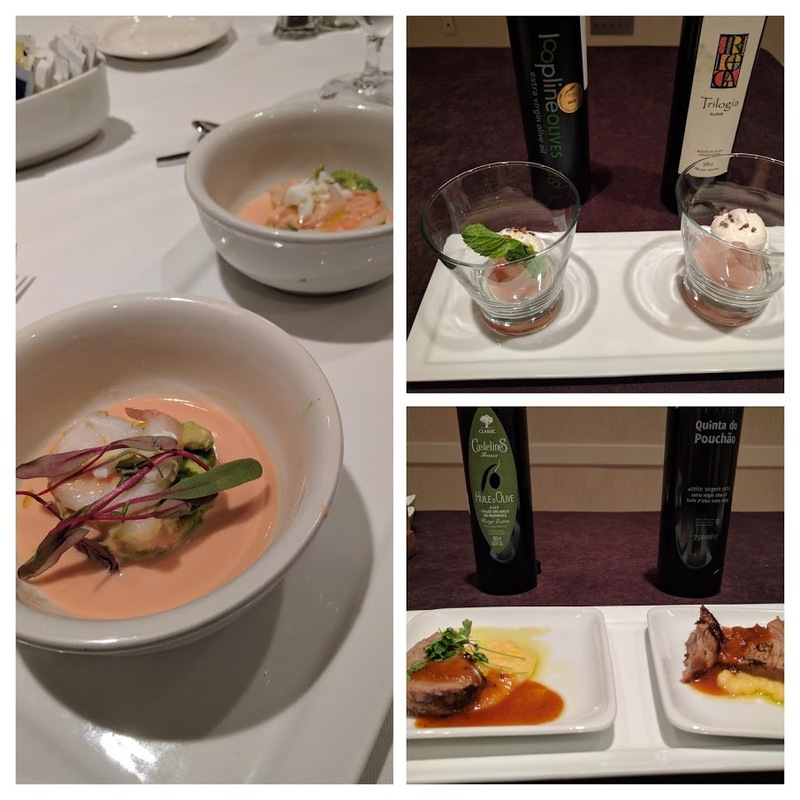 Each dish is prepared with two different olive oils to allow participants to experience how olive oil can change the flavor and even the texture of a dish. 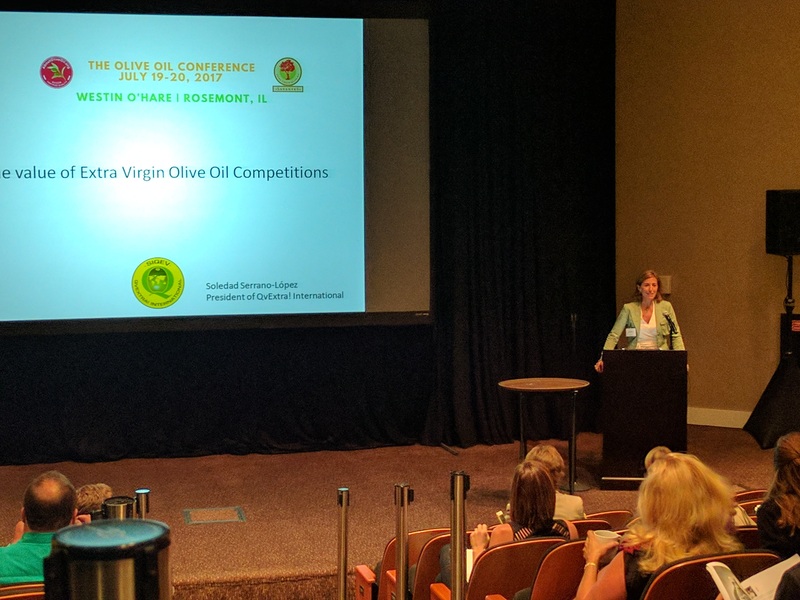 Soledad Serrano Lopez spoke about the importance of olive oil competitions in recognizing producers who go above and beyond in their production methods. 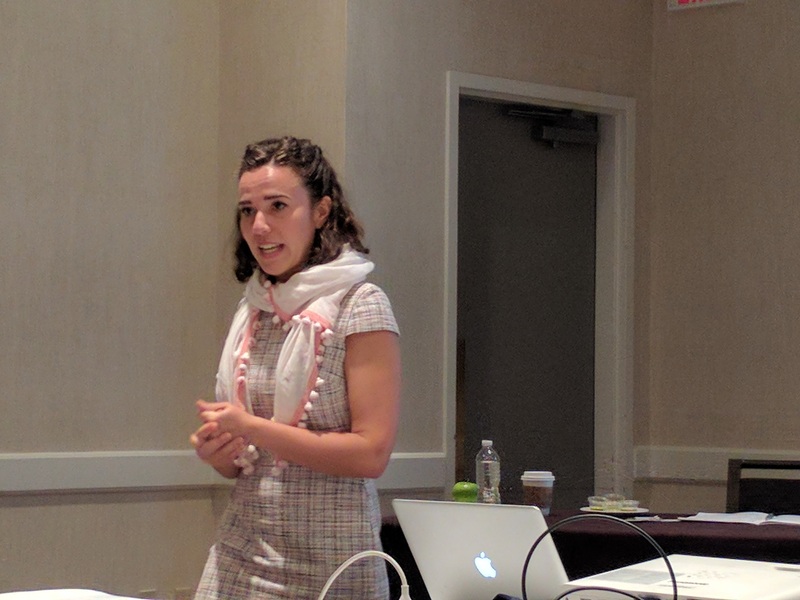 Her talk included guidelines on what makes a quality competition and how to determine which competitions are best. 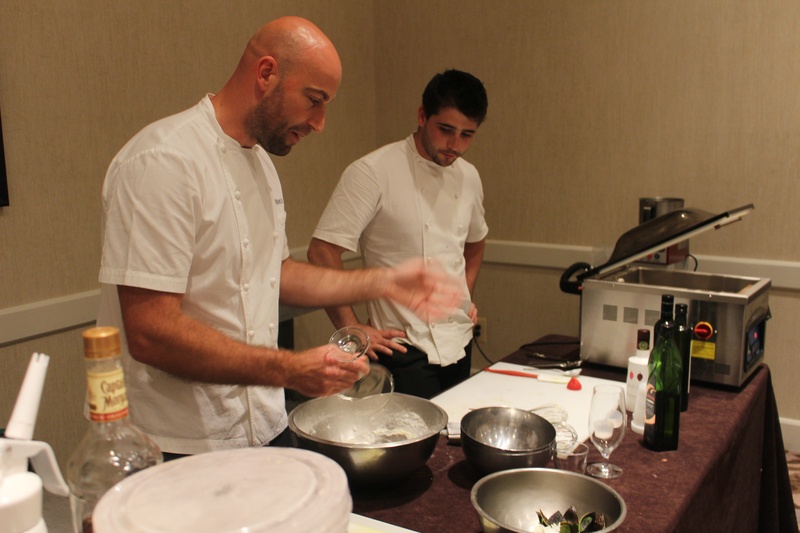 Olly Rouse and Joe Gould treated us to a cooking demonstration that featured innovative methods such as powders, foams and olive oil infused foods. They led an interactive portion where conference participants used Olly and Joe's techniques to craft olive oil cocktails! Simon Field finished the day with an interesting tasting session on olive oil varietals from different countries. He explained how varietals are being planted outside of their home regions with interesting results. We tasted arbequina, piqual and koroneki from their traditional countries and also from non-traditional countries. It was an eye opening experience! 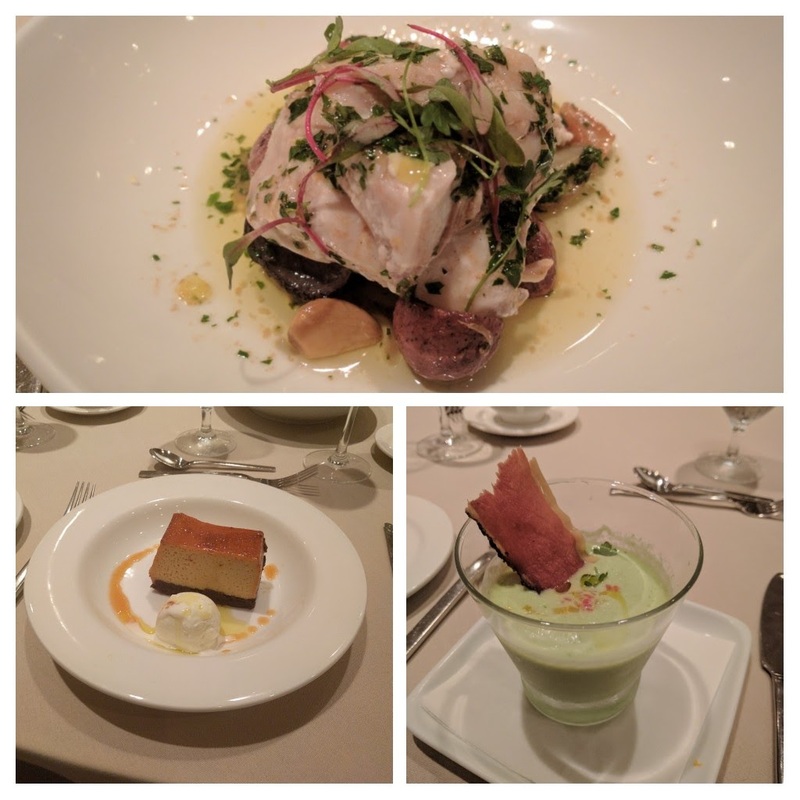 Dinner was hosted by Olive Oils from Spain and prepared by the chefs at the Westin O'Hare. 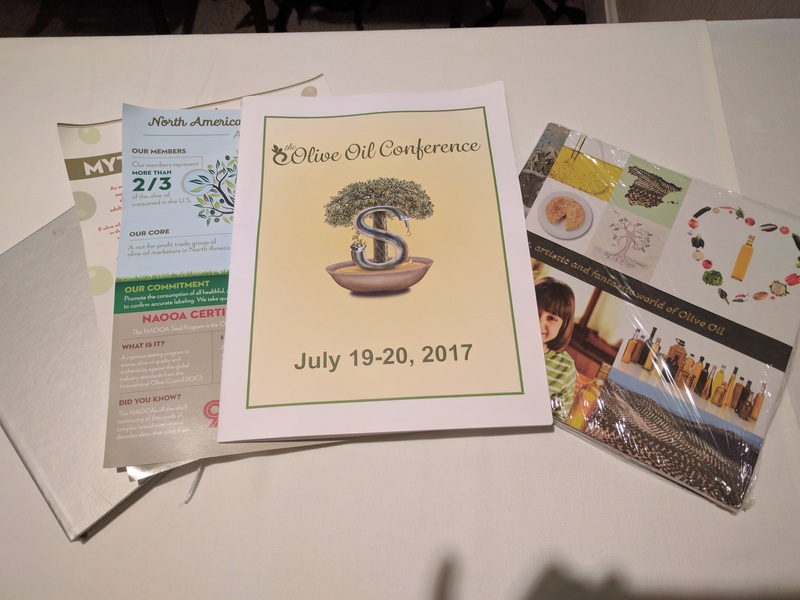 Tomorrow will be another full day at the Olive Oil Conference. Follow us on Facebook and Twitter for live tweets, frequent updates and video. You can also sign up for conference updates and to receive our slides. We leave you with videos of Olly and Joe's cooking demonstration.